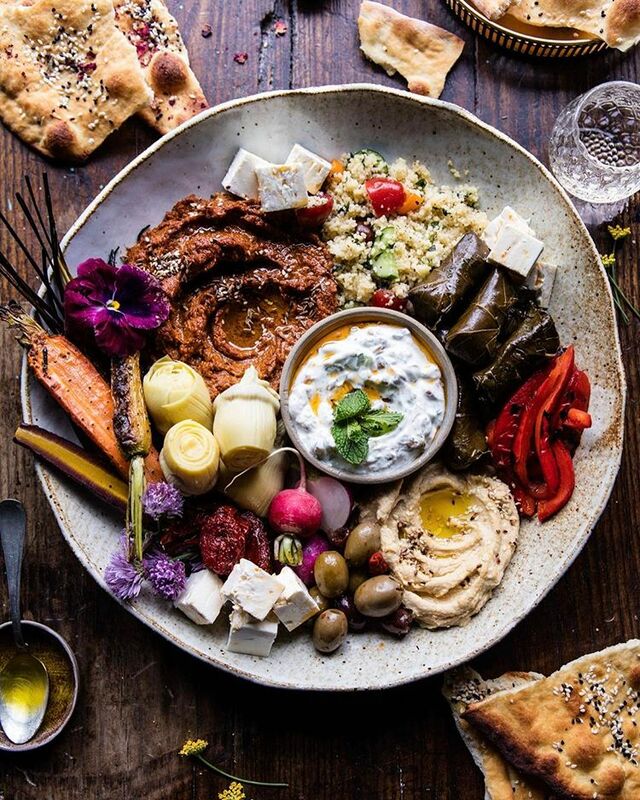 Roasted Red Pepper Meze Platter...aka appetizer platter . Complete with sun-dried tomato muhammara (roasted red pepper and walnut spread), hummus, tzatziki, feta cheese (YUMMM), lots of veggies, naan , and roasted carrots. I know, it’s a lot, but it’s just the BEST combo of foods and it would be kind of perfect for Easter...or just a lazy Monday night dinner <--ahh that's happening.